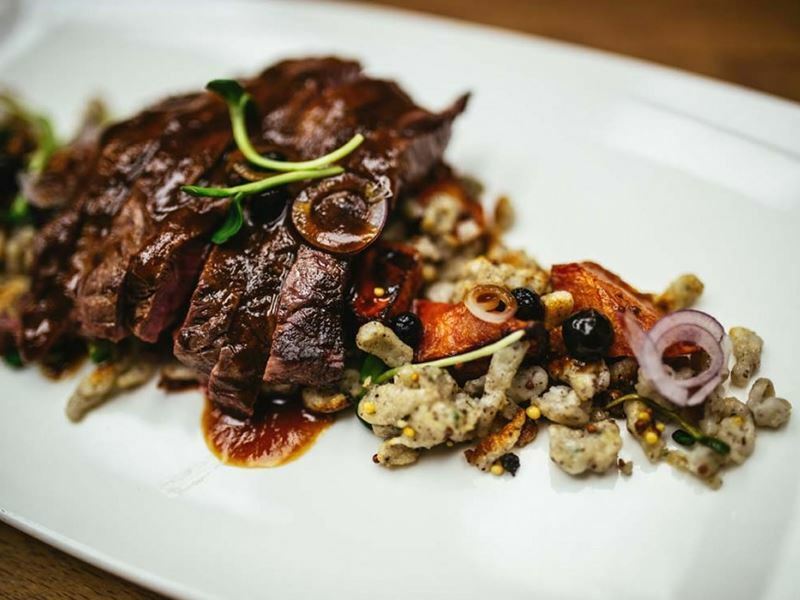 In the midst of making a huge impact on Canada’s culinary scene, Edmonton is rising above much larger cities and becoming the place to go in Alberta for inventive, creative gastronomy. 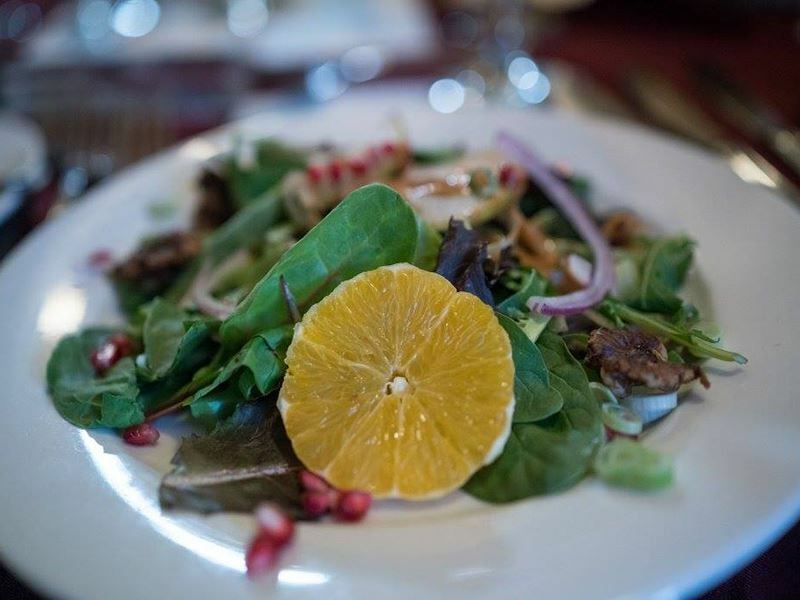 Here the chefs understand the importance of sourcing local, seasonal food and developing genuine relationships with the producers, something that’s made simple thanks to the area’s easy access to ranches, farms and greenhouses. 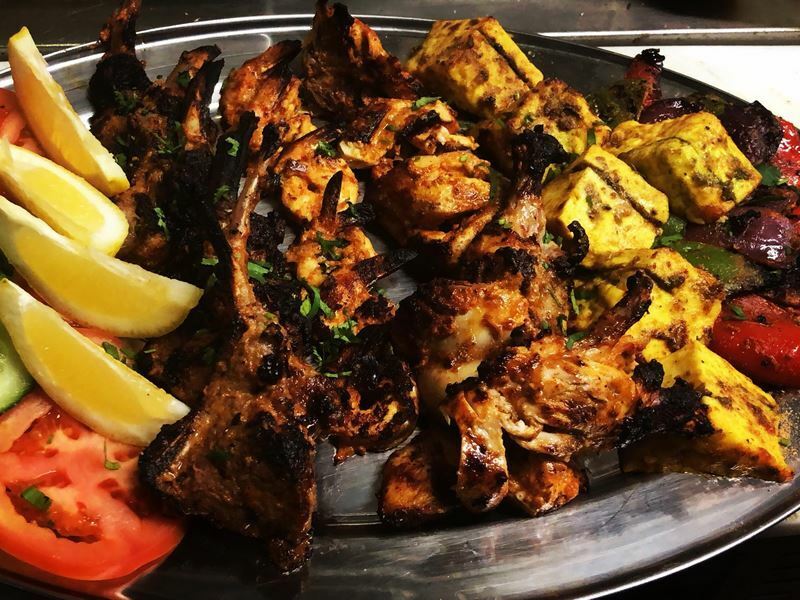 Scene: A fusion venture unlike any other you’ll find in Edmonton, Select Restaurant combines Indian, Italian and Canadian dishes to give diners a real international feast. The upscale dining room filled is beautiful leather seating and cherry-coloured wooden tables, giving the room a warm, welcoming feeling. While the colourful modern art which lines the wall gives you plenty to look at while you eagerly await your server to approach your table. Bordering on being oversized, the eclectic menu ensures there’s something for everyone. Whether you’re in the mood for Mediterranean chicken parmigiana, spicy beef vindaloo or a braised lamb shank served with Bordelaise sauce, there’s no chance of you going hungry here. To complement the many dishes, there’s a decent selection of red, white and rosé wines from around the world, available by the glass, half litre or bottle. Signature dish: Select Dal Makhani — black lentils cooked with fresh tomatoes and garlic, left to simmer overnight in a clay oven before being finished with a drizzle of cream. Scene: Serving up a taste of Europe across the pond, Continental Treat Fine Bistro is a family-owned restaurant run by three generations of the Borowka family. Since it first opened its doors in 1982, the family have gone all out to deliver a romantic experience evocative of turn-of-the-century European dining — and they’ve achieved in every conceivable way. From the thoughtfully-curated menu with delicacies from Germany, France, Hungary, Poland and more to the smooth jazz and bossa nova which floats throughout the dining room each evening, every inch of the marvellous establishment suggests a European bistro. Surprisingly for a restaurant with such a strong traditional theme, each of the dishes served is 100% gluten-free, making Continental Treat Fine Bistro a wonderful choice for coeliacs who don’t want to feel like the odd one out. To top it all off, their drinks selection is one of the most outstanding in the city, comprised of New and Old World wines, fine spirits and rare beers (including Westvleteren XII and Samuel Adams Utopia) which you’ll be hard-pressed to find anywhere else. Signature dish: Pickle Soup — cream of potato soup blended with chopped vegetables and infused with pickle chunks. Scene: An award-winning restaurant serving up their creative interpretation of traditional Italian dining, Corso 32 insists on prior reservations — a strong suggestion of the high quality and immense popularity of the eatery. While the food is certainly Mediterranean, the ingredients are anything but. The restaurant sources their products as locally as possible, as much as possible and the team prides itself on making all the pastas freshly by hand. 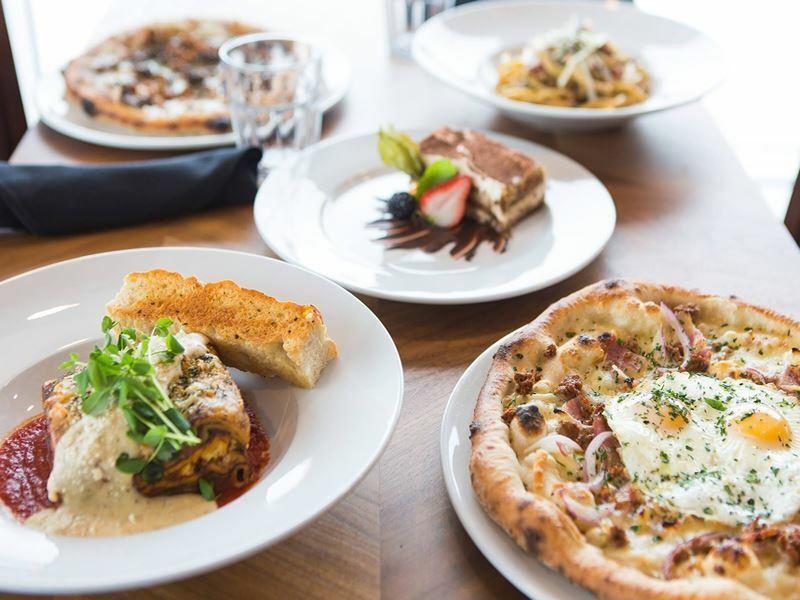 Designed for sharing, the enticing menu is broken up into antipasti starters, pasta first courses, meat second courses, and sweet and cheese desserts. With the mouth-watering housemade goat ricotta served with crisp crostini to the incredible pork tenderloin served with 24 month aged prosciutto and chocolate torte with a salted hazelnut crunch to choose from, you’ll have to send your server away more than once before you settle on your dishes. If you simply can’t choose, there’s always the pasta tasting menu. Made up of five pasta dishes and one decadent dessert, this menu is a wonderful way to open your eyes up to just how diverse and delicious pasta can be when it’s done right. Signature dish: Arancini — crispy risotto balls laden with different fillings, according to the season. Scene: Hidden away inside the Fairmont Hotel Macdonald is one of Edmonton’s best breakfast restaurants — the Harvest Room. The perfect place to start your day off on the right foot, the bright and beautifully-appointed dining room serves up a lavish buffet, laden with pancakes, crispy bacon and breakfast potatoes. But it’s the a la carte menu, boasting the likes of peaches and cream stuffed french toast, spicy huevos rancheros and dungeness crab avocado eggs benedict that really attracts local foodies. 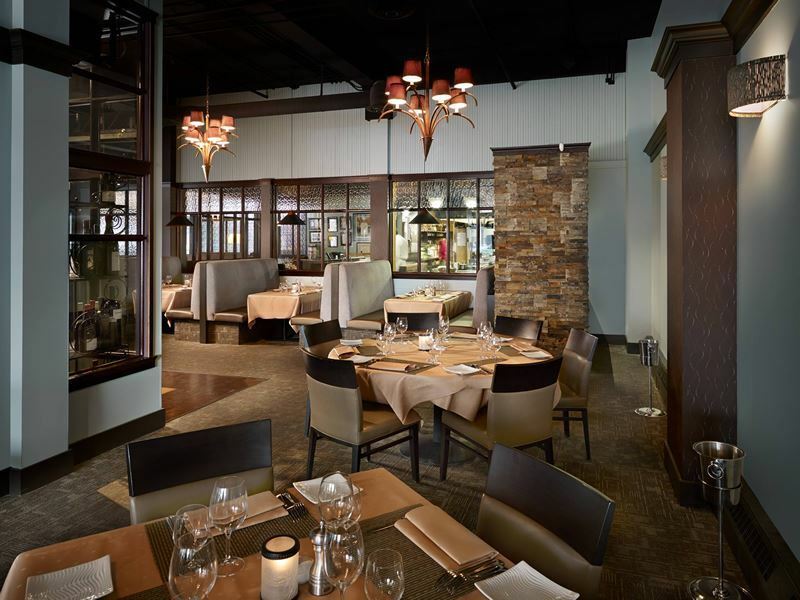 As the day progresses, the cuisine takes on a more seasonal Canadian feel, with the dinner menu offering up a wonderful choice of scallops with sweet pea puree to start, followed by duck breast with fresh cherries, pan-seared salmon with cauliflower or lamb rack with leek ash potatoes. For extra special occasions, opt for the Harvest Room dish and dig into three sustainably-farmed local meats or Ocean wise seafood choices on one epic gourmet board. Signature dish: Avocado toast — country bread toasted and topped with smashed avocado, pickles, hollandaise sauce and a farm-fresh egg, served with a berry salad and super green smoothie. 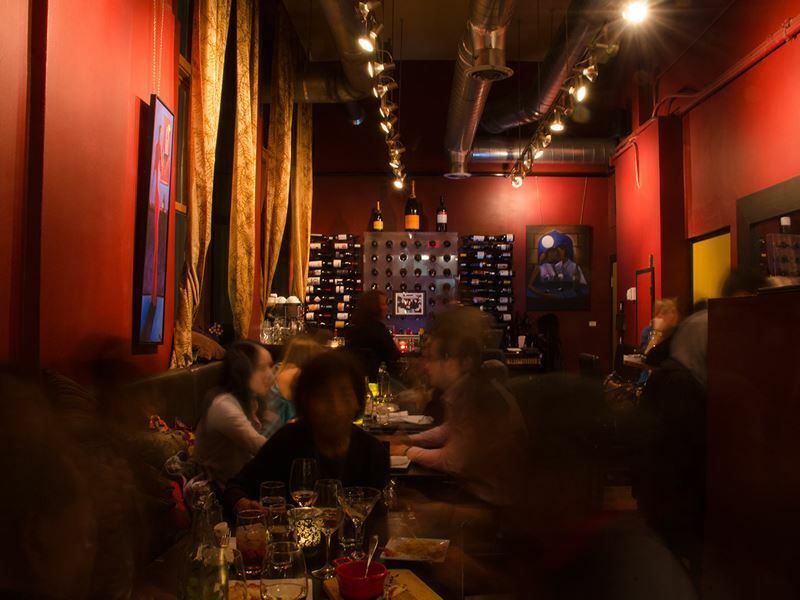 Scene: A very small and chic wine bar with an epicurean tapas menu, Tzin Wine & Tapas is a foodie’s tardis. Packing in much more than you might imagine at a first glance, the intimidating red walls, bistro-like wine rack decorations and low sofa-style seating create an exclusive, romantic atmosphere you’ll quickly grow to love. The modest size of the menu means the team of chefs can truly take their time and focus on creating wow-worthy dishes that reliably enchant the palate as well as the eyes. From the minimalistically named “Mushrooms” (sautéed mixed mushrooms with a rocket and pumpkin seed pesto, wild rice waffle and truffle-salted ricotta cheese) to the hearty wild boar meatballs, served with tomatoes, black garlic and a rich Jack Daniel’s glaze, everything on the menu sounds so appealing you’ll be making your next reservation before your main course arrives. The wine selection is surprisingly vast for such a venue, with a wide-ranging selection of bottles from across the globe. Signature dish: Paella — shredded duck confit mixed with cremini mushrooms, cherry tomatoes, rocket leaves and smoked saffron bomba rice, drizzled with a pickled jalapeño and lime vinaigrette. 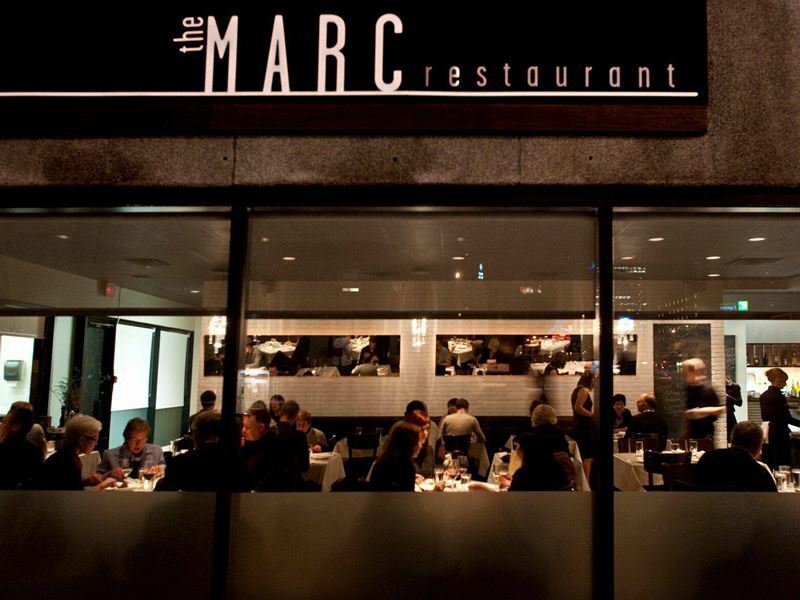 Scene: A timelessly elegant restaurant with a traditional French bistro menu, The Marc specialises in delivering hungry diners honest, fresh and satisfying food in a casual atmosphere, underpinned by a smooth and professional service you can count on. The decor is every bit as inspiring as the plates, with soothing shades of black, white and taupe adorning the surfaces, brought to life with sparkling pendant lights and a reclaimed marble bar giving the space a relaxed, wind-down feel. The relatively small menu kicks off with light bites such as a creamy housemade pate with crunchy croutons and the must-order frites with truffle aioli too good for sharing before moving onto classic French starters, like foie gras terrine with sour cherries and steak tartare with housemade pickles. The main courses are largely a meat-based affair (save the single fish and vegetarian options), with robust dishes of lamb chops with swiss card and entrecote frites with foie gras butter all contending for your attention. Signature dish: Escargot — escargot served alongside bone marrow, a persillade sauce, horseradish and pickled shallots. 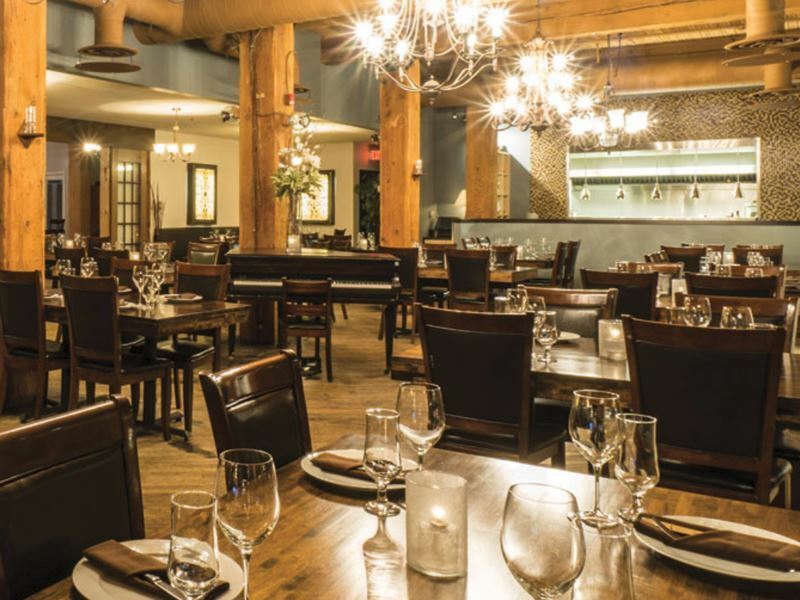 Scene: Owned by two passionate chefs keen to introduce diners to cuisine inspired by their home countries, SABOR is one of the finest places in Edmonton to indulge in Spanish and Portuguese dishes. Featuring fresh flavours from the Iberian coastal, with a great focus on sustainable seafood, the extensive menu promises a feast for the senses. From tapas, cured meats and local cheeses to freshly-caught fish, drool-inducing meat courses and exciting vegetarian dishes, this restaurant really does guarantee something for everyone. For a curated gourmet experience, there’s the “Family-Style at Sabor” — a feast of three courses prepared by the chef each day using seasonal ingredients and daily inspirations. With the likes of chocolate cayenne mousse, Portuguese cream custard with caramelised sugar, and triple chocolate slab with blackberry coulis, leaving room for dessert is an absolute must. And if you like a sweet tipple with your pudding, you’ll be overjoyed and the array of ports, dessert wines and after dinner liqueurs available. Signature dish: Grilled Piri Piri Prawns — prawns marinated in a spicy piri piri sauce and grilled, served with mixed greens and piri piri aioli. Scene: Launched in just 2017, Vaticano Cucina is one of the youngest restaurants on this list, making its high position even more impressive. Much more than a typical Italian restaurant, this eatery stands out from the crowd by modelling its decor and menu on Vatican City. Gleaming white walls, pleasant Mediterranean background music and even a replica of the Sistine Chapel’s ceiling fill the dining space, while the menu is brimming with pizzas named after saints (slice of St. Francis, anyone?) and the cocktails are just as pun-filled (I’ll have a Sin & Tonic, please!). But bad jokes aside, the quality of the food is outstanding and all-encompassing, featuring everything from antipasti, salads, handmade pastas and wood-fired pizzas to grilled meats, fish, poultry and desserts. Out of everything, the authentic Neapolitan pizzas take centre stage, made with top quality 00 flour (or a gluten-free substitute, if requested) and San Marzano tomatoes flown in from Italy. Signature dish: Bucatini Carbonara — housemade pasta dressed in a cream, egg and shallot sauce with pancetta, crumbled Italian sausage and pecorino, finished off with a chilli oil and grated cured egg yolk. Scene: A true citadel of fine dining, the Hardware Grill has been dishing up globally-inspired Canadian cuisine in luxurious, historic surroundings for over 20 years. The words “lobster”, “foie gras” and “truffle” are sprinkled liberally throughout the ever-evolving seasonal menu that seeks to improve upon French, Italian and Canadian classics with bold, new-world flavours. For dinner with a show, reserve a seat at the chef’s table and tuck into a decadent set five-course menu. Or if you’d prefer a more intimate experience, slip into one of the plush banquets and browse the a la carte menu and 19-page wine list, featuring some of the finest Old and New World wines from around the globe. Whichever option you choose, your tastebuds will be treated to the likes of house applewood smoked salmon with truffle-potato perogies, lacquered duck breast with cherry marmalade and warm prairie gingerbread cake served with rhubarb-saskatoon compote, mango ice cream and warm caramel sauce. 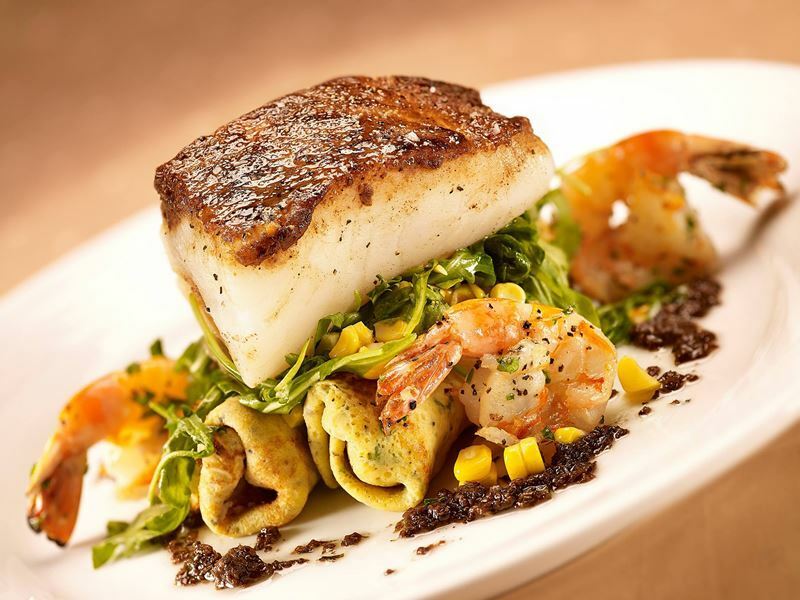 Signature dish: Porcini-Crusted Fish — local fish served with lobster-truffle potato crepes, white corn-rocket sauté, gulf prawns and a side of warm portobello vinaigrette. Scene: Inspired by the country’s fields, forests, mountains and oceans, Rge RD invites diners to eat off the beaten path and explore the incredible flavours that Western Canada has to offer. All their ingredients and provisions are sourced locally from small-scale producers and farms, guaranteeing unparalleled freshness and quality with every bite. Best suited to the more adventurous foodies, the menu has been designed to use every part of every ingredient, resulting in some delectable (albeit suspicious-sounding) dishes such as “Questionable Bits” which will only be revealed if you ask your server. 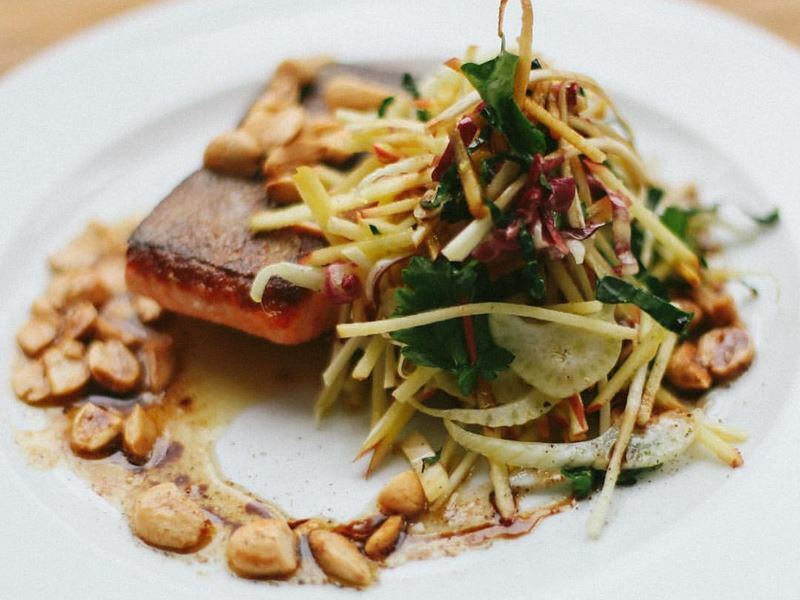 Aside from that, the rest of the menu is charged with hearty, wholesome dishes, like Pilatus Farms bison with hazelnut sp?tzle, Pacific lingcod with a wild rice potato latke and vegetarian-friendly garden greens with poached rhubarb and a cayenne vinaigrette. Add into the mix exceptionally creative cocktails (rainbow rooibos syrup is used to make a “Unicorn Playground”) and a seemingly never-ending wine list bursting with local and international bottles and you’ve got the perfect recipe for the ultimate gourmet experience in Edmonton. Signature dish: Grizzly Gouda & Potato Perogies — perogies fried in butter until golden brown and served with bacon, white onion cream and warm cabbage slaw.